First things first, don't forget about our holiday party on Dec 18th! Click here to RSVP! With the holidays around the corner, its important to spend time with your friends and family. Yet, don't forget about you! Here's are holiday schedule to help you stay active. Bring your family and friends if you have to. 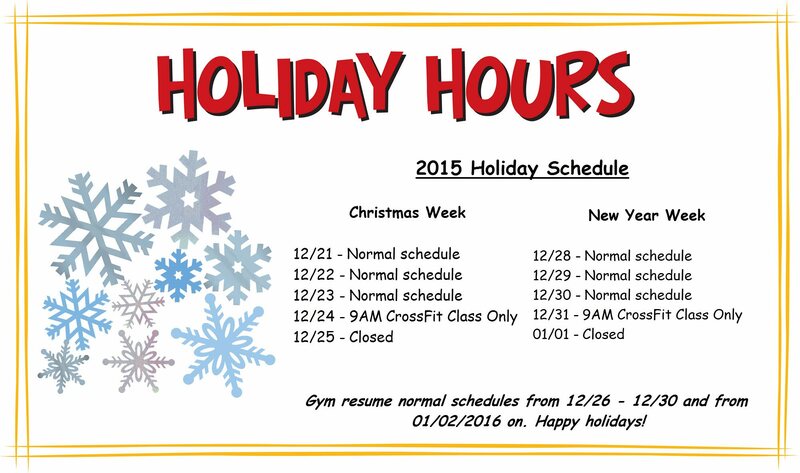 Gym resume normal schedules from 12/26 - 12/30 and from 01/02/2016 on. Happy holidays!